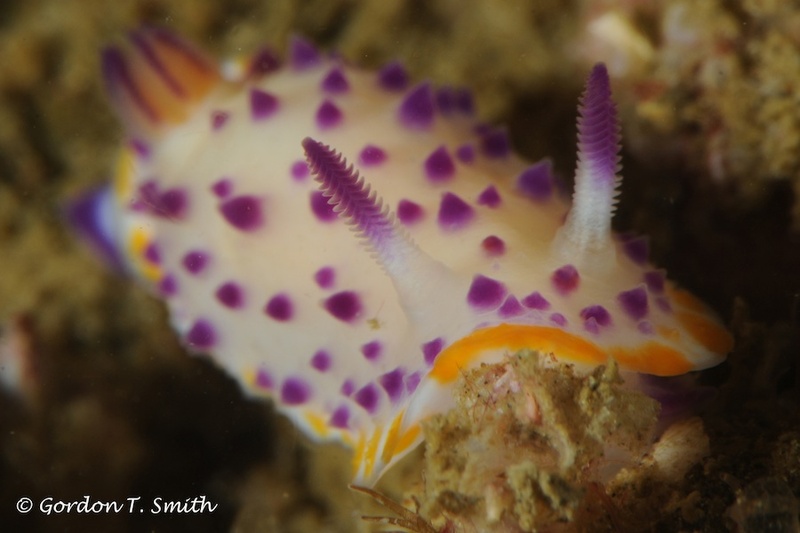 During my first dive with the "Macro Mate" attached to my 105mm port I was looking for some suitable subject, when Vanjie pointed out a couple of tiny white looking nudis. With the naked eye I assumed that they were most likely one of many H. carnae, fairly common on "Inchcape 2"
I was almost ecstatic when I looked through the viewfinder to see something completely different. This example below was photographed on "Inchcape 2", Khorfakkan, UAE.